The Social Security system is so complex that it has more rules than even the famously complicated tax code. And part of what makes Social Security so tricky is the language used by the Social Security Administration (SSA) and by others trying to explain what the SSA is trying to say. “Full retirement age.” The word “full” usually means “maximum,” so many people quite reasonably assume that full retirement age is the age at which the monthly Social Security retirement benefit reaches its maximum amount (other than for inflation adjustments). What to do: If your goal is to receive the highest-possible monthly Social ­Security benefit based on your own earnings history, you would have to wait until age 70 rather than claim at your full retirement age, which now is somewhere between age 66 and 67 depending on your year of birth. Of course, if you need the money sooner, either for spending or because you believe you would be better off investing it—or if you are convinced that you won’t live much beyond 70—you may choose to start taking benefits sooner. “Earnings test.” If you earn significant income ($17,040 or more as of 2018) during a year in which you receive Social Security retirement benefits but have not yet reached your “full” retirement age, SSA will withhold some or all of your payments for that year, depending on how much income you earn. (Go to SSA.gov, and search “Exempt Amounts Under the Earnings Test” for details on how much.) Such earnings also would reduce spousal benefits if your spouse has begun claiming them. What’s tricky: The withheld payments are not necessarily lost forever. Once you reach full retirement age, your monthly payments and any spousal benefits will be adjusted upward to start making up for the money withheld under the earnings test. If you live long enough, typically until around age 80, you can make up all of the withheld payments. But the fact that you are likely to get that money back often is not properly explained, making many Social Security recipients decide to forgo income opportunities and therefore reduce their wealth over time. What to do: Consider both the reduction of current amounts received and the later upward adjustment in deciding whether it makes sense to claim Social Security benefits while you are working. Exception: If you switch to a larger spousal or widow(er)s benefit at full ­retirement age, the upward adjustment of your retirement benefit will be of no value. “Life expectancy.” If you use the calculators on the SSA website (or on many third-party financial websites), they will estimate how long you’re likely to live based on factors such as your health and family history. Some calculators then will use this estimate to recommend when you should begin receiving your benefits. What’s tricky: Individuals don’t die on schedule—they can outlive their life expectancies, potentially by many years. And if you make decisions about when to begin your benefits based on a retirement calculator that uses average life expectancies, you might undercut one of the best features of Social Security benefits—they continue for as long as you live, and the longer you live, the more it pays to have delayed starting benefits (up to age 70). Your widow(er) also will, potentially, enjoy higher benefits. What to do: Do not claim your benefits before you turn 70 just because a retirement calculator featuring a life-expectancy estimate recommends that you do so. Think of Social Security as a form of longevity insurance that will protect you from outliving your savings. “Spousal benefit.” Married people often are eligible for this benefit, which is based on a spouse’s earnings history, assuming that the spouse already has started receiving his/her own benefit. What’s tricky: This is not an extra benefit you can claim on top of your own benefit—there’s no way to receive benefits greater than the larger of the two at any time. The confusing way the SSA describes spousal benefits can make it seem otherwise, however—it implies that you can claim both at the same time. But if you try to claim both, you will receive your own benefit plus your “excess spousal benefit”—which is, roughly speaking, the portion of your spousal benefit that exceeds your own benefit. The total is not any greater than the larger of the two benefits. In fact, depending on when you were born, it might not even be possible to start your spousal benefit without accidentally triggering the start of your own benefit, a detail that’s easy to miss—and doing that could reduce your benefits for the rest of your life if you do it before your own benefit tops out at age 70. 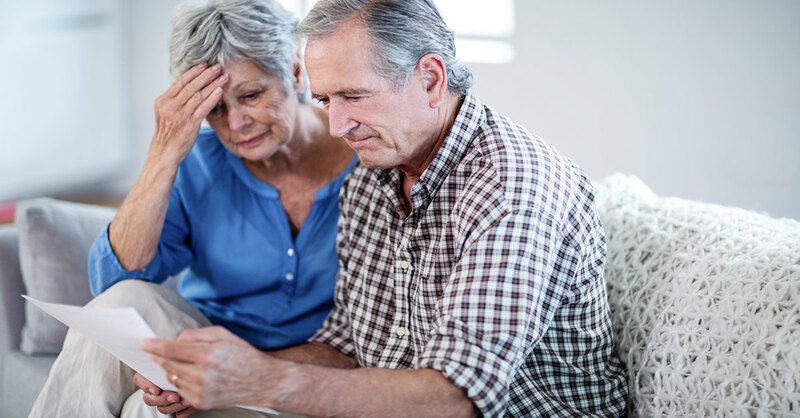 What to do: If you were born on or before January 1, 1954, and your spouse is collecting his/her retirement benefits (or in some cases if you are divorced), you can file a “restricted application” to start only your spousal benefit when you reach your full retirement age—spousal benefits do not continue to increase beyond this point—while your own future benefit continues to increase, potentially up to age 70. If you were born after this date and/or have not yet reached full retirement age, do not file for spousal benefits unless you are willing to also start your own retirement benefit, which will prevent your own future benefit from continuing to increase. If you were widowed, it is possible to file for “survivors benefits” without automatically starting your own benefit regardless of your year of birth. “Cost-of-living adjustment (COLA).” You probably know that your Social Security benefits will be modified as needed to keep pace with inflation. What’s tricky: What’s rarely mentioned is that these adjustments have historically fallen well short of increases in the actual cost of living. That’s because health care and housing are a larger part of many seniors’ expenses than they are for many younger people, and those expenses have been rising much faster than the overall rate of inflation. What to do: Assume that your housing and health-care costs will rise significantly over the course of your retirement, and plan your retirement budget accordingly. Social Security’s cost-of-living adjustments are very unlikely to keep pace. What’s tricky: The SSA employee might imply that this check is extra money that you otherwise would not receive. In truth, if you accept this ­“extra” payment, the SSA will reduce your ongoing benefits as if you had started them six months earlier than the date you received the call. What to do: If your plan has been to wait to age 70 to start receiving benefits, don’t feel that you have to change your plan and jump at this offer. “Tax-exempt interest.” Some ­government-issued bonds provide income that is not subject to federal income tax. That might not sound like it’s related to your Social Security benefits, but it can be—and not in a good way. What’s tricky: The income produced by these bonds is itself tax-exempt, but receiving it makes it more likely that your Social Security benefits will be taxed. If in a given year, your non–Social Security taxable income plus this tax-exempt bond income plus half of your Social Security income exceed $25,000 ($32,000 for joint filers), up to half of your Social Security benefits might be taxable…and if it exceeds $34,000 ($44,000 for joint filers), up to 85% might be taxable. What to do: If you invest in federally tax-exempt bonds, keep in mind that they might not be as appealing as you imagine during years when you receive Social Security benefits. “Benefits estimate.” The SSA mails out statements to people age 60 and older not yet receiving benefits that include an estimate of future benefits. What’s tricky: These estimates can be wildly inaccurate—they often miss the mark by 20% or more. What to do: Search online for a Social Security tool that adjusts for factors such as expected salary increases and estimated inflation. “Supplemental Security Income.” Known as SSI for short, this is a program run by the Social Security Administration that provides income to certain low-income seniors and the disabled. What’s tricky: The Social Security Administration, itself known by the acronym SSA, administers programs known by the acronyms SSI and SSDI (that’s Social Security Disability Insurance). All those similar acronyms can cause confusion. If you say the wrong acronym when you call the SSA or speak with a financial planner—or this person mishears you—you might receive the wrong advice. For example if you call the SSA and say, “I’m receiving SSI. Will my benefits change if I move to a different state?” you might be told that they could…but if you meant to ask about standard Social Security benefits, that answer is not correct. What to do: When you speak with financial planners or the Social Security Administration, refer to programs by their full names rather than their acronyms to avoid misunderstandings.